Coat This next purchase is more of an investment classic. Stripes....what can I say! Love the gold button detail. 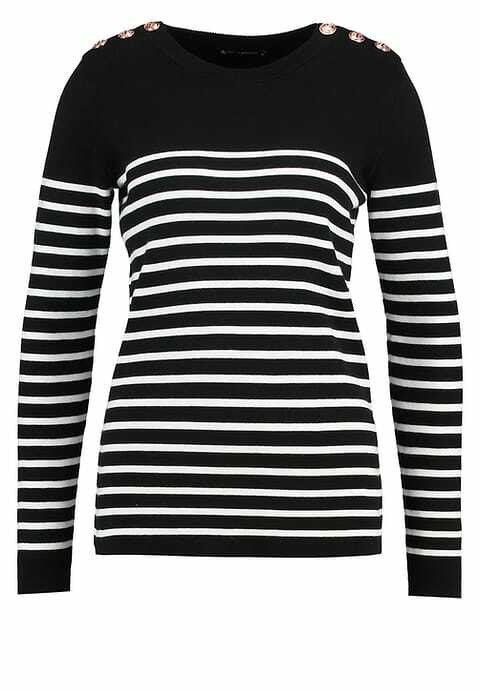 I must thank Kate from @wearsmymoney for the tip-off as I snapped up mine whilst The Outnet had 20% off a couple of weeks back. All sold out there now but I've linked another stockist below and the price is pretty comparable to what I paid! Sweater Now, I was was fortunate to win a voucher for Atterley recently and I wanted to be wise and buy just one item that I would never usually indulge in. 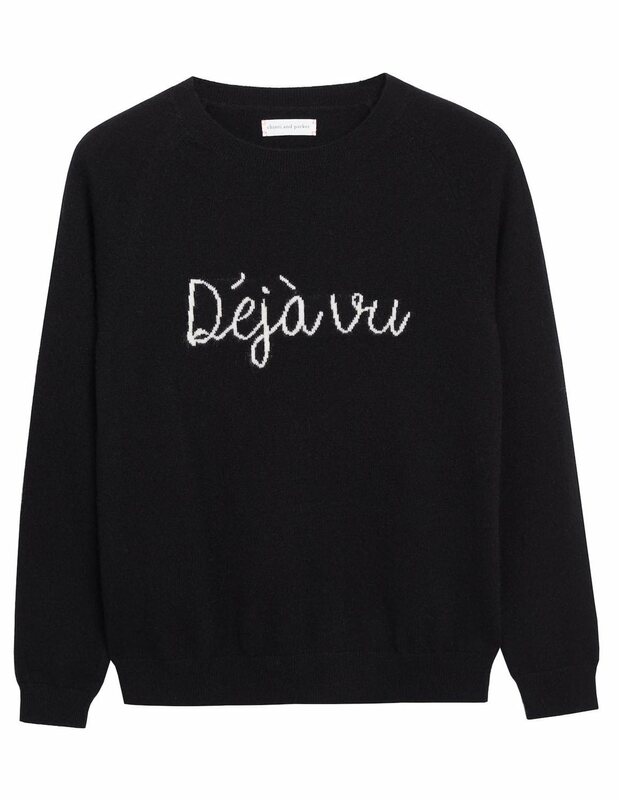 I could absolutely live in my Uniqlo grey cashmere crew at the moment so I headed straight to the luxe knitwear brands stocked on Atterley......and this had me at Deja Vu from Chinti and Parker. Sweater Sticking with those luxe pieces, it is so worth investing in great accessories. If you've followed me for sometime you will know that once winter is upon us my signature look tends to involve a black beanie hat. This year I felt it was time for an upgrade so I accepted a gorgeous black cashmere hat from luxury brand Black.co.uk as well as some beautiful quilted black leather gloves. Is it wrong to will away these warmer Autumnal days so that I can start donning these already?! Cashmere slouch beanie hat Gloves Last but not least are these beautiful boots. They don't need any justification as they will simply go with everything. As I mentioned above I am favouring the autumnal shades for A/W17 making these Eddison boots the perfect footwear addition. I love the heel, it's a great height for everyday. I reckon (I have a plan!) these boots will take me from day to evening as well.....I thinking with the cream M&S Autograph skirt below that I picked up for a song in the sale. 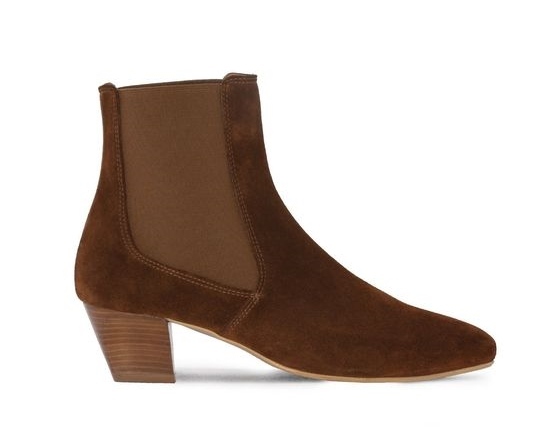 The boots are fab with midi and maxi lengths and are of course brilliant with the straighter more cropped style of jeans I'm wearing at the moment. I'm more than just a little bit smitten. Boots That's what's made it into my wardrobe of late. I have also bagged this sweater (with some H&M birthday vouchers) to go with this skirt.......see I told you I am obsessed with these colours at the moment! Right, It's been awhile since I shared a few outfit shots so I'm including a few here to show you how I've been styling some of these recent purchases. Where things are past season I've linked an alternative that I'd be buying if I didn't already own something similar. Really happy with what I've added to my wardrobe lately. Glad that it took me awhile to get going this season and feel inspired. I have to say I enjoy uncovering last year's A/W wardrobe and mixing up the old and the new. The new pieces really compliment the old favourites. I have been having a bit of a cull....I do try to work on the one in, one out basis. Do you have any rules that you apply whilst doing your wardrobe changeover? I would love to hear! Thank you to black.co.uk for gifting the hat and gloves, and also to Duo for the Edison boots. All words and opinions are my own. I only ever pick things I truly love and would be prepared to spend my own money on. Thank you for helping me to support smaller brands who I am passionate about working with. Floral dresses are even better in Autumn then in summer!